“Absolute poverty, as in having no money at all, is all-encompassing, meaning it is almost impossible to think about anything else and it impacts on every area of life. Relationships with family and friends fracture, self-esteem is demolished, emotions range from stark terror to utter despair. Poverty removes the freedom to act rationally and assess situations in the long term and so creates its own vicious trap. The above is also included in the petition below. I included the first two paragraphs here as they so well describe what it is like to live in a state of such deprivation and despair. It has to stop now! There are often very sick and disabled people in WRAG and many people are unfairly assigned to this group who should in any case be in the support group. Frankly the whole assessment system is flawed and needs scrapping. Some of the reasons for sanctions are ridiculous to the extreme and grossly unfair, such as missing an appointment with your advisor. This happened to one person who had worked for 20 years who missed an appointment with his advisor because the process had not been clearly explained. This resulted in a three-week sanction. Another sanction was imposed on someone for being late for an appointment with his adviser – arriving only five minutes late resulted in a penalty of one month sanctions. A person who had applied for more jobs than the target they had been set was sanctioned because they forgot to put down that they had checked the local paper as per instructions!!!!!! and to beggar belief someone was sanctioned for not looking to see if anyone had advertised a new job on Christmas Day. From a survey of 376 people across the UK it was found that two thirds where left with no income after their benefits had been withdrawn. The duration of the sanction varies, the majority of people have had their benefit payment withdrawn for four weeks but about a third had to manage without any money for ten weeks or more and in some cases sanctions may last for up to three years! Such deprivation has forced people to borrow from family members many of whom may well be struggling themselves. Others borrow from banks and some may be so desperate as to borrow from what amounts to loan sharks, though they are usually referred to as payday lenders, who charge outrageous rates of interest. Between 2009 and 2011 the number of sanctions rose from 139,000 to 508,0005. The CAB accuses the Department for Work and Pensions (DWP) of setting targets for sanction withdrawals. It needs to be pointed out that even a short sanction can be disastrous if you have no savings as is likely of course if you have to live on the grossly inadequate benefit of about of £71.70 (£56.80 if you are between 16 and 24) which is the payment for Jobseekers Allowance. Now I have to ask does a twenty-three year old need less to live on than a twenty-five year old? Of course not. Benefits sanctions contribute of course to homelessness. According to a recent survey “31% per cent of homeless people claiming jobseeker’s allowance had been the subject of sanctions compared with a national average of just 3%”. “Of our survey respondents, one-third reported that clients with mental health problems were sanctioned and nearly half of them reported that clients with substance misuse issues were also penalised”. More benefit sanctions means more suffering for those who live on the edge. There are people living in caves round Stockport which has seen a 42 percent increase in homelessness in just one year. Homeless men and women are living in a network of disused sandstone caves near the town centre of Stockport, Greater Manchester. There have been up to four people a night sleeping rough in the cave system perched on a 20-foot precipice overhanging a river, only a short distance from public view. It is just appalling when people have to resort to living in caves. Sanctions on benefits will see more and more people added to the increasing number of people who are homeless. I signed the petition because I am outraged at the vicious and unfair welfare reforms that have plunged people into poverty and despair causing many to commit suicide. when you are only getting £71 per week job seekers allowance you are already struggling in the extreme and are of course not able to put anything aside to cover any unexpected eventuality such as benefit sanctions. It is disgusting that in the sixth richest country in the world there are people who through no fault of their own cannot afford to eat or warm their homes or pay their rent. There are people so poor that they have to return food donated to them by food banks because they cannot afford the gas or electricity to heat their donated food! This is a grave social injustice and it must be challenged. Without any exception whatsoever benefits sanctions must be stopped. This is a crime against humanity, the most appalling treatment of vulnerable people and it has to stop now! If you do not know what these sanctions are, and many people are so ill-informed about what is happening here in the UK as a result of media bias, please check out the links below. The whole process is insane to say the least . With 2,500,000 unemployed people and only 400,000 jobs available the whole process is futile or at least extremely difficult and there will always be people who cannot get a job and all the bullying, terrorising and exploitation will not change that fact. All that happens is people lives are seriously blighted to such a degree their ability to work, if ever there is a job for them to do, is significantly decreased as hopelessness and depression set in. Jobs need to be created not punishment dished out to those who cannot find what is not there. Remember it was the Tories who destroyed industry not the workers. In the 1960s you could walk out of your job one day and get another job the next! For most workers you did not need a degree to earn a living wage. Furthermore working conditions and pay where better, hours shorter and more rights in the workplace. it also has to be noted that not everyone can actually do the jobs that are available. So many jobs require skills many people do not have. Not everyone is academic or skilled in IT, yet there are so few jobs now for people who are not. For example you now need a diploma to be a brick layer whereas before you would learn this skill on the job. Here’s an actual case I read about which is worth repeating. “From personal experience trying to support my friend who is currently sanctioned… what do you do with no income for 13 weeks? You go to the food bank – three times, three days food each time is all you are allowed. Social services tell you that as you are working age and single, you are not a priority to help, so there is no help for you from them. You sell your possessions on Ebay until you have nothing left to sell. You dont tell anyone what is happening to you because you feel so utterly ashamed. When the shame reaches its height, you go hungry in a freezing cold flat, become ill and try suicide. Bonus!! The NHS feed you for a few days but then you are sent home again. So you start stealing from the supermarket and get caught, so the police feed you for a day while you’re locked up. You go ‘skipping’ – breaking onto places where food is thrown out, or ask shops and cafes for the food that is going to be thrown out at the end of the day. You hang about at the end of the market and take the waste fruit and veg out of the bins. There’s no money for the gas meter for heat or hot water, your friends are paying meter money onto the electric meter for you and you live in the living room of your flat with an electric heater on. You walk for 45 minutes each way to sit in the nearest library for the day because its warmer in there than at home, and gives you access to waste food at the end of the trading day. The loan sharks knock daily on your door, offering you money you dare not take, but feel is inevitable that you will very soon because its your last option and you’re at the end of your tether. By now your physical and mental health are shot, and the likelihood of getting back into work is further away than ever, but the DWP have saved 13 weeks benefit, yippee!! But you also used up huge amount of police and NHS costs – booo!! The country is governed for the richest, for the corporations, the bankers, the land speculators, and for the exploiters of labor. The greatest threat to the planet and every creature who inhabits it is capitalism, at least in its present dominant frenetic mode that relentlessly exploits the world’s resources and its inhabitants, including both humans and the other species with whom we share this world, to satisfy the greed of the few. 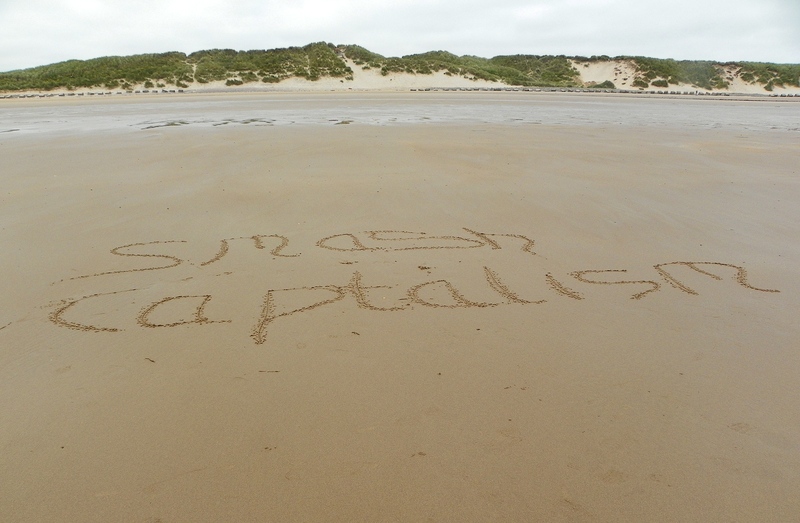 Capitalism is the root cause of most the world’s problems including war, it is the overriding cause of the continual social unrest that threatens world peace, it is responsible for the deaths of millions of people and billions of animals and the destruction of our environment. It is capitalism that has plunged millions into poverty as a result of the so called banking crisis which is really a ploy to control millions of people to enslave them to low wages and increasing poverty. For it’s most obvious crime it is responsible for the death of one child every 3 seconds in Africa, a so called developing country. Capitalism is responsible moreover for the ever increasing exploitation of the other beings with whom we share this world. Basically capitalism puts profits before the needs of billions of people, other animals and the environment. Yet still today, despite all the pervasive misery and suffering, few actually speak out against this malignant cancer that ruins the lives of the vast majority of the world’s population, robbing them of health, security, happiness, quality of life and life itself. There follows a selection of quotations from eminent people past and present and others less well known concerning the evils of capitalism which I would like to share here today. The truth of these statements cannot be denied and are as relevant today if not more so than when they were written. The events of recent years with the rampant unbridled spread of capitalism confirms the above statements and is precisely what is happening here in the UK and elsewhere. The by-now well known phrase uttered by the worse prime minister in history “We are all in it together “ certainly rankles doesn’t it, yet it is so true for indeed the capitalists, in association with governments, are united to impoverish and take what little people have in order to acquire more and more wealth for themselves. These are the privileged few, the one percent whom it seems have an insatiable appetite for wealth and material comfort far in access of their requirements and at the expense of those far less fortunate. Ethics should precede economics… We know this because we’ve seen the results of capitalism without conscience: the pollution of the air we breathe, the water we drink, and the food we eat; the endangerment of workers; and the sale of dangerous products — from cars to toys to drugs. All in pursuit of greater and greater profits. Despite a thorough search there appears to be no direct quotations concerning the effects of capitalism on animals. Without a doubt contemporary unfettered Capitalism is responsible for the escalation of the dreadful mistreatment of the other species with whom we share this world. Aided by technological advancements it outdoes any previous civilisation who also considered the abuses of animals as normal behaviour. The capitalist system has increased the exploitation and abuse of animals with the shocking additions of vivisection (animal experimentation) and factory farming – both of which constitute the legal torture and abuse of defenceless sentient beings for the sake of accruing wealth for the few under the guise of providing for the many. Capitalism is also responsible for environmental damage on a global level hitherto unequalled which in turn affects other species along with ourselves driving many animals to extinction. Today biodiversity is at an all-time low, the lowest it has been during the entire duration of human history. Clearly there is a connection between capitalism’s exploitation of animals, its destruction of the environment and the enslavement and abuse of human beings. “The profit motive, in conjunction with competition among capitalists…leads to a huge waste of labor, and to that crippling of the social consciousness of individuals which I mentioned before. Finally a pronouncement by Michael Moore which he made at the conclusion of his documentary Capitalism: A Love Story. This is just so shocking, is no animal safe from man’s abuse and exploitation.? Worldwide the assault upon the other beings with whom we share this earth seems relentless. I cannot understand the mentality of people who kill any animal. There is not a day that goes by without some atrocity towards animals and indeed to our own species. Increasing numbers of people are having to resort to food banks as more families than ever before are suffering from poverty. The Trussell Trust alone has reported that more than 350,000 people between April and September of this year were given a three-day food package – this is three times as many as during the same period last year. Even more shocking, the Trussell Trust has said that some people are so poor that they have returned food that requires cooking because they cannot afford the electricity to heat it! It is an outrage that In modern-day UK 13 million people live below the poverty line. As unbelievable as this may seem in twenty-first century UK there are people so poor they cannot afford the electricity to heat up donated food. yes I have repeated that fact again as it is just so unthinkable you cannot quite get your head round it can you! Browne spends about £5 a week on gas now but he expects that to rise to £12 in the winter. He aims to restrict his food budget to £2 a week. Packets of noodles for 12p, and tins of spaghetti for 19p are on his shopping list. Time your visit right, he reckons, and you can get a nearly-out-of-date loaf of bread from Asda for 6p. Here is a report on the accumulative affects of benefit cuts. A Fair Society? – How the cuts target disabled people. Using the government’s own figures, it is clear that by 2015, in England alone, local government and housing will be cut by £16.2 billion. This is a cut in real terms of 41.9%. Social care for children and adults makes up 60% of all spending over which local authorities have any control. Data collected over the past two years indicates that social care has already been cut by nearly £4 billion, and will be cut by £8 billion by 2015, a cut of about 33%. Benefits for disabled people and the poorest will also have been cut by £18 billion, a cut of about 20%. Basic minimum wage for people 21 and over is only £6.31, 18 to 20 £5.03, under 18 £3.72 and an apprentice gets just £2.68. Shocking right? Many people get less. The fact that someone can be working for £ 2.80 an hour in modern-day Britain is scandalous! Not that £6.31 is a lot either if you are supporting a family – or indeed for a single person who has the same rent/ mortgage, heating and so on as a family. Time to pay a living wage to everyone who works and a living benefit for those unfortunate enough not to be able to work as a result of unemployment or illness and disability. Regardless of the job we do, all people have the same needs whether it is the fat cat executive or the road sweeper, both need to earn enough to provide shelter, food, warmth, clothing and the means to have a fulfilling life! People want more from life than enslavement to greedy corporations working away their precious lives to make another rich while they themselves struggle to afford even the basics in life. Over 250 million people are unemployed and many of those who are, are on zero hour contracts, temporary jobs and part-time work. Massive Increases in the cost of energy – New increases for all of us as SSE and British Gas hike their prices by extortionate levels of 8,2 per cent and 9.2 per cent respectively. The rest of course will follow helping to confirm the belief that they operate as a cartel. For most everyone except the very rich the cost of living has risen far more than the incomes of the vast majority of the UK population with benefit claimants, which includes state pensions, and the low paid and unemployed being worst effected of course. I know that there are many desperately poor people here in the UK as a result of welfare reforms and low wages and indeed my family and I struggle to make ends meet and things are getting worse including not being able to adequately heat our home and when it is cold we spend most of the day feeling chilled as we dare not set the thermostat to more than 60 degrees. The cost of heating our home is like having to pay another mortgage, right now I sit here in an unheated room, but to not be able to afford to heat your food beggars belief. I think many people, even those of us who campaign against the onslaught of austerity that has destroyed people lives, still do not fully understand the severity of poverty that exists here in the UK. After all people who are so desperately poor that they cannot heat their food may not have Internet access and therefore suffer in silence not knowing what to do or where to turn. They have no voice or at least their problems are less likely to be generally known. The fact that in the sixth richest country in the world people struggle to afford the basics of life such as heating for their homes, food for their families and affordable shelter, is immoral to the extreme. With 80 billionaires and 509,000 millionaires – a rise of 98,000 since last year and more than any other European county – it is a disgrace. It is immoral when bankers get big bonuses while people go cold and hungry. It is immoral that MPs, many of whom are millionaires including Cameron and Miliband, get huge pay rises while working people live on a pittance of low wages and or inadequate benefits and have to send their children to school hungry. Do hungry children exist? Teachers say so. Parents say so, though they may go without to give kids toast for tea. With 4000 food banks already in place the Trussell Trust plan to provide one in each town and city. While this is very commendable and a godsend for struggling hungry people the need for such charities as food banks should have no place in any socially progressive society in a rich country such as the UK . The government’s welfare reforms need to be overturned and a more fair system put in its place. Sick and disabled people have and are continuing to suffer poverty and deprivation and mental anguish as a consequence of draconian reforms that have resulted in the deaths of thousands of people, some of whom died shortly after undergoing the Atos Work Capability Assessment, and many suicides. Please click the following links and read the stories of people who through no fault of their own have to resort to food banks including an Afghan veteran who, after suffering post traumatic stress disorder following his time serving in Afghanistan, struggled to find a job and was evicted. As a vegan and pacifist of course I am opposed to armed conflict nonetheless I consider it an outrage when this country turns its back on those who risk their lives for what they consider is right. Shame on the UK for not looking after members of the armed forces who are now as a consequence of their service sick and or disabled. Note Burton-Fullick needs new glasses, but can’t afford them and he and his partner’s immersion heater broke 18 months ago but they don’t have the money to get it fixed. Often it is more than not affording food and often such essentials as replacement glasses and the repairs of such as an immersion heater are not considered. To do without either is a considerable detriment particulary for a sick and disabled person. Please sign the WOW Petition which calls for : A Cumulative Impact Assessment of all cuts and changes affecting sick & disabled people, their families and carers, and a free vote on repeal of the Welfare Reform Act. The Trussell Trust has written to the Prime Minister calling on him to look into the ‘scandalous’ problem of food poverty. Perhaps you could do the same. Follow the lead of the Trussell Trust and write to David Cameron and express your outrage that in rich UK people do not have enough to eat or can afford to use their electricity to cook their food let lone heat their homes. Yes I know he is unlikely to read it personally, but someone will read it and we need to make our feelings known on the matter. The more people who write the better. Or contact you constituency MP. Please write even if he or she is Labour, don’t rely on the Labour party to change much of any of the disastrous polices of the last two years, particularly welfare reforms. This is just so shocking and must be stopped now. As a vegan I oppose the killing of any living being. I am so appalled that in any modern progressive society the slaughter of these intelligent beings is allowed. 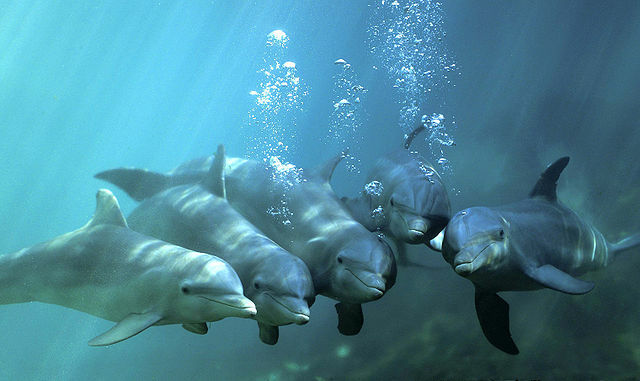 It is even more shocking to propose a Marine Park to allow tourists to swim with the dolphins to fund their slaughter! A water park where visitors will be able to swim with dolphins before sitting down to eat their meat is actually being planned in Japan. You cannot believe it can you. I had to read the petition several times to get my head round this shocking news. I have to ask what does Japan’s treatment of Dolphins say about the government of Japan who allow such atrocities to sentient beings to take place? Please spread the above post and link widely. This film will break your heart. 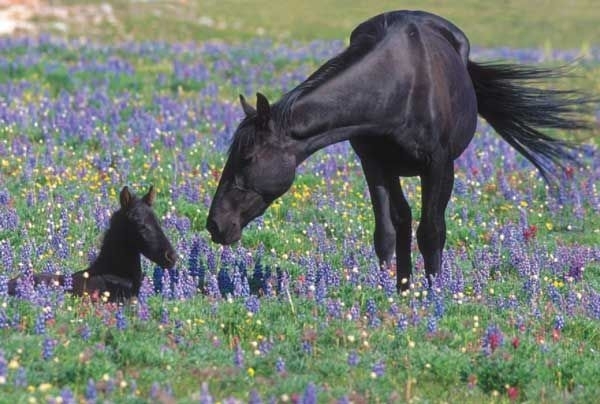 How can anyone do such terrible things to these sentient beings? 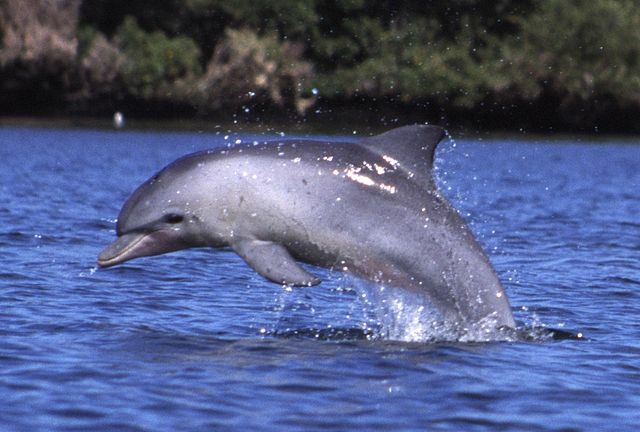 Even if it were true that the dolphins are killed instantly it is not right to take the life of these animals, there is nothing humane about death quick or otherwise. All creatures wish to live. 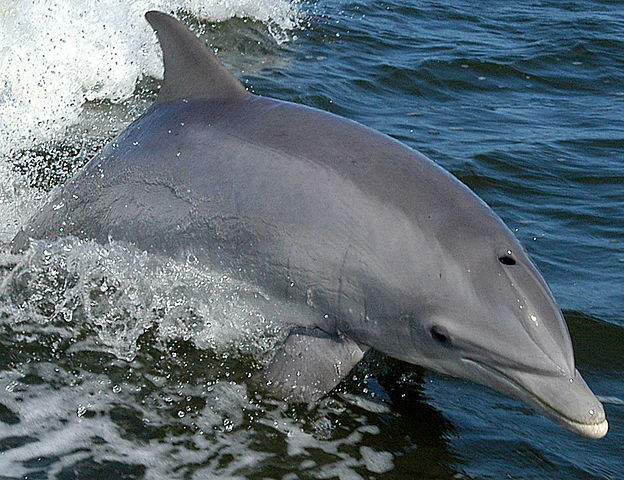 Dolphin picture credits, left to right: public domain, truncates and NASA. As I sit here admiring my new ” Winter” mouse pad and still feeling the warm glow from our visit over the weekend to the Clearwater Marine Aquarium, my first email this morning has turned my stomach and filled me with outrage. Right now, I am seeing red, blood-red, the blood of many of Winter’s own kind. Her sweet face is still strong in my mind and the thought of others like her being slaughtered, makes me want to do bad things to those who are guilty. The petition which is listed below, came as a horrible reminder, that there are still places on this confused plant, where some life has more meaning than others. Please read the following information and take the suggested actions to stop fracking under your home – also other actions further down you can take to support clean energy. Regardless of the detriment to our health and the countryside the UK is about to become one large fracking site with nearly two thirds of England earmarked for fracking. As most of us know fossil fuels have contributed to climate change, surely therefore it is insanity to now be extracting new fuels of this type. Fracking – short for “hydraulic fracturing” – involves drilling deep under ground and releasing a high-pressure mix of water, sand and hundreds of chemicals to crack rocks and release gas stored inside. Fracking is linked to water and air pollution in the United States, and to earthquakes in the UK. Fracking poses a serious detriment to your health and the environment, yet despite this the Government are determined to go ahead anyway. As always money comes before people. We should protest against fracking and not be led astray by promises of cheaper energy. Such will never happen, the only people to benefit will be the energy companies who will make more profit, any savings avoided from buying gas elsewhere will not be reflected in the price of your energy. We have an opportunity to make an effective stand and say no to fracking under our homes. We can make things very difficult for the government and the greedy energy companies who for profit are only too willing to set aside the dangers to ourselves, other animals, the environment and future generations. We have a rare chance to challenge UK fracking. But we don’t have much time. Fracking companies are lobbying the government to change the law so that they can go ahead and drill without the consent of residents. According to Greenpeace’s solicitors it is unlawful for companies to drill under your home without your permission or a statutory right. Doing so would be trespassing. But we need to act fast, as there are indications that the government will try to change the law to allow drilling under your home. Right now residents can create a legal block to fracking throughout the country by refusing permission for drilling under their homes. The purpose of the above is to raise awareness of the areas in Britain which could be affected by hydraulic fracturing, and help people in Britain challenge fracking companies looking to operate in their communities. If where you live is included add your name and say no to drilling under your home. If your area is not included please support the campaign by sharing this link widely with friends, family, and other contacts as they may be affected. You can also download and print the above Wrongmove sign http://www.wrongmove.org/signdownload and put it up in your window to let your neighbours know that your home is ‘Not for Shale’ and spread the word even further by taking a photo of yourself with your sign and post it to Facebook or Twitter with the #NotForShale tag. “The ‘Not for Shale’ legal block is a campaign by Greenpeace to support residents in fracking-affected communities to challenge the Government and the companies trying to drill in their immediate area. 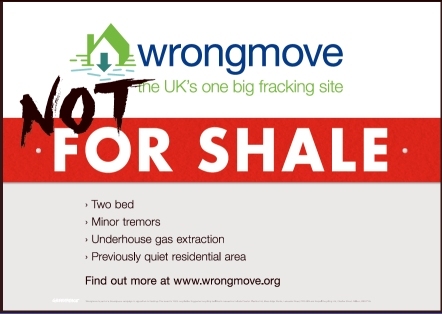 Through wrongmove.org, residents can refuse permission to frack under their homes, even if companies have made, or are already making plans to drill there. Fracking is a form of fossil fuel extraction that involves horizontal drilling. Fracking companies can drill up to two miles from a drill site, meaning operations regularly pass under people’s homes and farmland. You can read more about this by clicking the Wrong move link http://www.wrongmove.org/ if you have not already done so and entering your post code and then clicking the link: More Information About This Action. The more of us who take action the more difficult it will be for oil companies to carry out fracking. 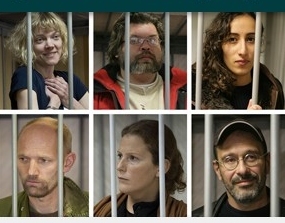 The people in the photograph above are among thirty Greenpeace international activists who have been detained in a jail in Murmansk. These dedicated people may face long jail sentences because they followed their convictions and acted against climate change by peacefully demonstrating against Arctic oil drilling. Send an email requesting the release of the Arctic 30. This is a form letter, try and personalise it if you can, but send as it is if you cannot. Not all of us are good at writing, but do send anyway as it shows your support for the release of these unfortunate people who are trying to defend the arctic for us all. Russia’s Gazprom, the largest extractor of natural gas and one of the largest companies in the world, is ignoring the climate crisis and is going ahead with drilling in the Arctic in an area of the ocean that is only now accessible as a result of climate change and where an oil spill would do irreversible damage. Despite the alarming consequences Gazprom’s activities in the Arctic are considered legal. The Green Peace Ship the Arctic Sunrise was part of a peaceful protest against Gazprom’s drilling operation in the Arctic. Despite the peaceful nature of the protest and whilst in international waters the Arctic Sunrise was illegally boarded by Coast Guards who held those on board under armed guard whilst they towed the ship to shore. The thirty Green Peace protesters aboard have been remanded for up to two months by a court in Murmansk. The authorities say they need time to investigate possible charges of piracy even though President Putin has said that he did not believe they were pirates. This morning in my e-mail box I received the following post, extracts of which have been included below with some slight alteration. Please read and take the suggested action if you have not already done so. This is what Kieron Bryan wrote in a letter to his family last week. Kieron is one of the 30 people currently being held in Russian prison facing piracy charges. It has been exactly three weeks since Russian agents boarded the Arctic Sunrise and arrested all 30 people on board. Now, they are all being held in Russian prisons. Many of them are being kept in freezing cold cells for 23 hours a day, with just one hour out for exercise. The support team in Murmansk is working around the clock to ensure they receive care packages with food and books to make life a little bit more comfortable for them. But what they need more than anything is continued pressure from millions so we can get them released. Over 1.2 million of us have already written to Russian embassies around the world demanding the release of the Arctic 30. Let’s double that. This week, our international director, Kumi Naidoo, wrote to President Putin offering himself up as a guarantor for the Arctic 30. He pledged to move his life to Russia for the duration of this affair if the Arctic 30 were released on bail. Countless human rights and legal experts have come forward to say the piracy charges against the Arctic 30 are unfounded and ludicrous. High profile people from Stephen Fry to Bianca Jagger and Jude Law have publicly voiced their support for the Arctic 30. Please click the link below if you have not done so earlier. This is a grave injustice, people have the right to protest against the unremitting exploitation of our world. For the sake of us all, for future generations and the other species who inhabit this planet, we have a right to say enough is enough, we have a right to defend out environment in a peaceful and meaningful way without risk of facing ridiculous charges of criminal behaviour and loosing our freedom. This world does not belong to exploitative oil companies like Gazprom or anyone else including the multinational corporations who are destroying our environment all in the name of greed. Everyone of us needs to be able to peacefully protest against the assault on our world without facing criminal charges. The Greenpeace protest was peaceful. Please forward this, and the petitions, to your family, friends and other contacts and ask them to send an email to demand the release of the Arctic 30.